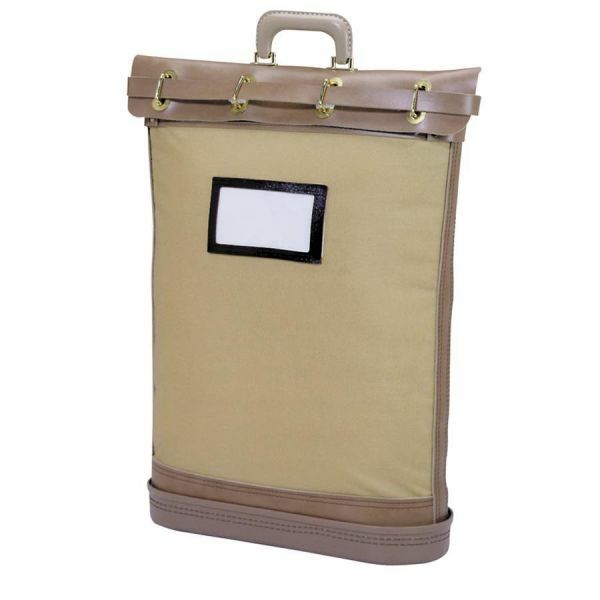 MMF Canvas Security Mail Bags - Padlocking mail/courier bag is ideal for secure handling of mail, computer tapes, disks and printouts. Constructed of Cordura Plus fabric, this mail bag is water-resistant and designed for years of use. Molded handles, double-stitched seams, and a plastic base ensure the bag's longevity. A vinyl belt fits through loops, and the padlock attaches in the back of the bag. 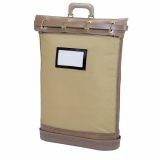 A see-through window on the bag's small front pocket is perfect for bar-coding, business identification cards and shipping information. Padlock includes standard with two keys.